With every passing day, football fans only get more and more used to reading about the crazy amount of spending these days by the clubs, and about the club records or transfer records getting broken, or rather, shattered! That would be the case with almost every Premier League club! However, there is one club that still stands out. There is a famous club founded in 1892, one half of the famed and bitter Tyne-Wear derby. This is the same club Alan Shearer joined over Manchester United after he left Blackburn Rovers. Newcastle United, the club owned by the founder of Sports Direct, Mr Mike Ashley, is the only club in the top tier that hasn't broken its club transfer record in the last 13 years! The entire list of each Premier League (2018/19) club's record signing can be found below, and there, you'll find Newcastle sticking out like a sore thumb instantly. To explain why is simple; the highest amount they've spent on a player was £17 million back in 2005! The spending was on one of the top players of the time, Michael Owen. But 13 years have since gone by without them breaking their club transfer record. In today's times, that seems to be more closely related to fiction than fact. Benitez has been outspoken about his frustrations with missing out on his top targets in the transfer market, and also about sympathizing with the fans for the same. 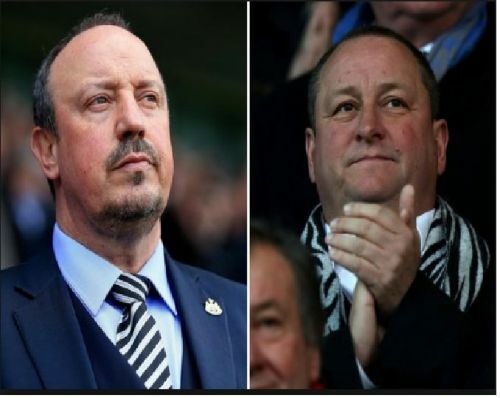 At the same time, he has been sane enough to not launch any direct attacks on Mike Ashley, the owner, which is a pragmatic approach as not every manager should be engaging with public jousting with their board. Their performances of late have been dismal (against Chelsea in the EPL and in their loss against Nottingham Forest in the League Cup). This could lead to another wave of "fan fury" against Ashley, with loads of "Ashley Out" and "Give Us Our Club Back" posters on show at St. James' Park in the upcoming weeks. Benitez and the fans will try every possible way to have their owner release funds for new players. However, even if they succeed in extracting money, they can only buy any player in January now. 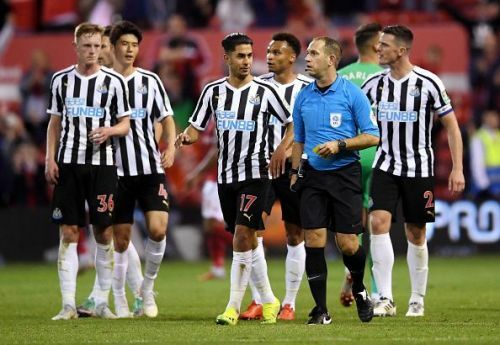 If that was not enough, there is a possibility that by then, Newcastle will find themselves in a position where they may be relegated. When are you releasing the funds, Mike?